Air rotary union / for vacuum / for gas / 4-passage - LT 4 - DSTI - Dynamic Sealing Technologies, Inc.
Hydraulics - Pneumatics > Pipe, Tube and Fitting > Vacuum rotary union > DSTI - Dynamic Sealing Technologies, Inc. Stand: DSTI - Dynamic Sealing Technologies, Inc.
LT 4 DSTI - Dynamic Sealing Technologies, Inc. 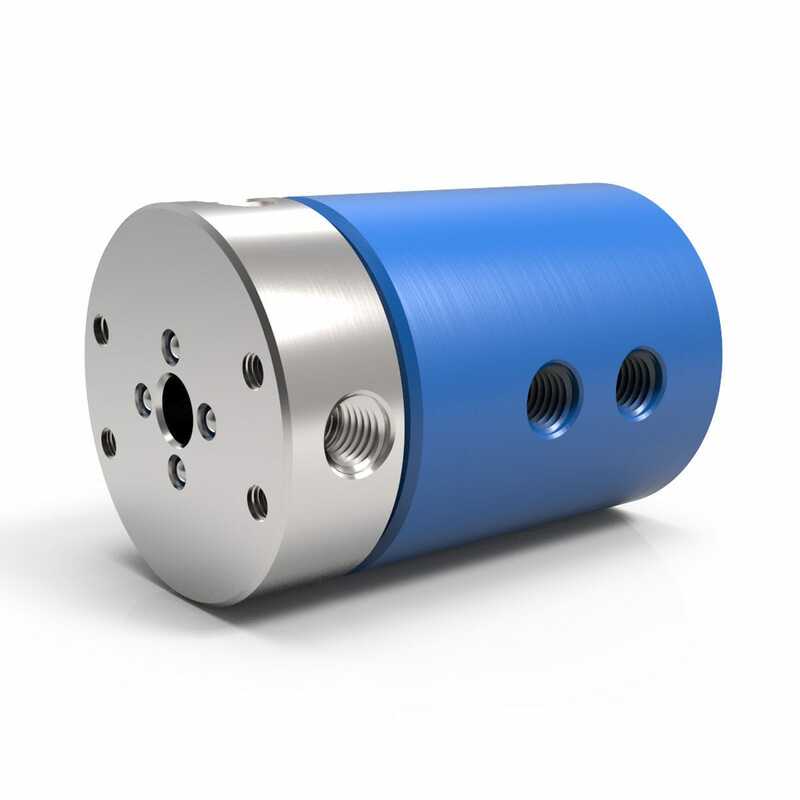 The 4-passage LT Series rotary unions are designed for air, gas and vacuum use and are ideal for a number of automation and robotic applications. These lightweight, compact rotary unions feature an all-aluminum construction and four independent flow passages capable of transferring different types of media simultaneously. LT 4-passage models come standard with threaded connections on the sides of the shaft and housing. Models are also available with optional shaft O-ring face seal glands for flush mounting the union to an interface (must be specified when ordering). Need to combine fluid with electrical power, signal and/or data transfer? No problem. The LT Series rotary unions are designed to integrate directly with our standard electrical slip rings.